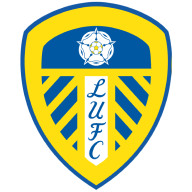 Sone Aluko and Neeskens Kebano were denied in similar situations in the second period and Leeds had their moments in a thrilling finale. The teams could not be separated, though, as United were forced to settle for back-to-back 0-0 draws in front of their own fans. The visitors were also without the suspended Tomas Kalas and suffered an early scare when fellow defender Tim Ream received lengthy treatment on a facial injury. The American returned to the field in time to see Stefan Johansen fire a 20-yard drive wide. The second half had threatened to burst into life but was still simmering when Kemar Roofe came on to replace Alioski just after the hour mark. 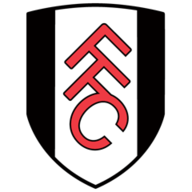 Hernandez wasted a good opportunity from a free-kick in a central position and Fulham captain Aluko dragged a shot wide as both sides pushed for a winner. The game had become stretched with Fulham the next side to miss an opportunity, a golden one as Aluko was denied by Felix Wiedwald after being played in by Johansen. Fulham played all but the opening minute of their weekend game at Reading with 10 men but there was no sign of fatigue as they went toe to toe with Leeds in the closing stages. Thomas Christiansen: "It's another clean sheet and I believe the team played a very good game. We have to recognise that we played against one of the best teams in this league. They started very well and we were not fast enough. "At the end of the first half we controlled the game a bit more and in the second we deserved more. We need to be a bit more dangerous up front but at the end I'm satisfied with that result." Slavisa Jokanovic: "It's a very bad injury and we will lose him (Piazon) for a long time. It's not a question about complaining - it can be bad luck or a tackle outside of the normal - but I'm really disappointed with what I heard from one of the referees who explained, 'This is English football and this is completely legal'. "I am a 48-year-old man and I've never heard an ugly answer like I heard today in this stadium. We are so disappointed for this situation about Lucas Piazon. I believe he broke the fibula or broke the leg."